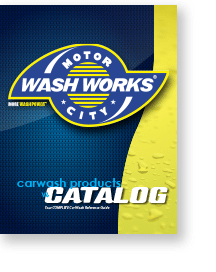 Were you aware that, according to the International Carwash Association (ICA), more than two billion cars are washed each year in North America, resulting in nearly $15 billion in retail sales? That translates into 5.5 million vehicles washed daily for a total of $41 million in sales every 24 hours. Were you also aware that U.S. Census Bureau data shows that over the past 15 years, the carwash industry has seen a 69 percent increase in vehicle owners using carwash facilities rather than tackling the chore themselves? Not only that, but financial investment firm JPMorgan Chase says disposable income is on the rise, which means consumers have more money to spend on conveniences like carwash services. All those facts and figures translate into one thing: Vehicle owners visit carwashes now more than ever. But are they visiting your wash — at least to the degree that makes you profitable? If you want to steer more cars your way, you can start by understanding how consumers decide which carwash to use. All carwashes should consider the following eight factors. Consumers routinely compare prices when making purchase decisions, including which carwash to patronize. One way to persuade them to use your carwash service as opposed to a competitor — particularly if yours is the more expensive option — is through incentives, such as BOGO (buy one, get one free), discount coupons or contests and sweepstakes. The danger with such tactics is that your customers could become dependent on them, so be judicious in their use. Incentives are a good way to introduce your services to new customers, but they should not be a crutch you lean on to keep them. Another way to engender loyalty is to start a prepaid carwash program or membership club. You set a monthly fixed price, auto-debit the customer’s credit card each month and establish what hopefully evolves into a long-term relationship. You’ve heard realtors say it: “Location, location, location” is the key to selling properties quickly. The same holds true for carwashes. A setting located on a busy street that’s easily accessible and has a majority urban-suburban population will give you the best chance to build a growing business. Is your desired location on a divided highway? Is it located in a “hard corner” lot? Does it have enough room for several cars at a time? Is there a turning lane to enter? How many exits and entrances are there? Something else to note: If your wash is located in a part of the country affected by winter weather, ensure the safety of your customers by keeping your lot clear of snow and ice. Not only could the presence of wintry precipitation hamper business, but it could also lead to personal injury, resulting in legal action. Another adage says, “You never get a second chance to make a first impression.” In real estate parlance, this means curb appeal. Having a well-maintained building, attractive landscaping, a clean lot and easy-to-read signage will work in your favor toward attracting new customers. To keep those new customers coming back, you also need to make a good second impression. Your customers will expect to have a satisfying experience when visiting your carwash. Curb appeal contributes to that, but so does your wash’s performance. Automated tunnel systems with flashing lights, colors and fragrances heighten the experience. The personal touch — provided by courteous, professional-looking employees — can seal the deal, ensuring new customers become loyal clientele. Guarding your online reputation is very important. What existing customers have to say about your business is one of the first things prospects will notice when searching online for a carwash. Your customers will share their experience, good or bad, on such sites as Yelp and Google as well as on social networks like Facebook and Twitter. You cannot underestimate the power of one person’s opinion — everyone has some degree of influence with his or her peers — nor should you undervalue how much one negative review can cost your business. Make these sites your friend by encouraging satisfied customers to write a review. Include mentions in your store signage (such as with door stickers, table tents on countertops, etc. ), on receipts, in marketing materials and through your social media profiles. Your customers rarely visit your carwash without also making other stops. Choosing a location within a short driving distance of nearby shopping destinations, such as grocery stores, town centers or retail strip malls, can help draw in more people. Such areas usually have higher traffic counts and lower speeds, and they hold their property value. It seems people are always on the go these days. As a result, they expect fast service from the businesses with which they interact, whether it’s the grocery store, dry cleaners, bank, fast food restaurant or carwash. Simply put, quick turnaround time is a key to profit. If your wash cycle takes too long, you will drive customers away. Not only do customers expect a clean car when they use your wash, but they expect a dry one as well. It’s such an important factor that it could make the difference between the customer crossing your threshold versus a competitor’s. With the drying system technology available today, however, there is no reason anyone should leave with less than a bone dry, spot-free vehicle. With less time and more money, people look for convenience in taking care of their everyday wants and needs. More and more are opting to use a professional carwash service than clean their vehicles themselves. Pay attention to these eight factors to better understand what customers are looking for, and you will ensure they choose your wash every time.